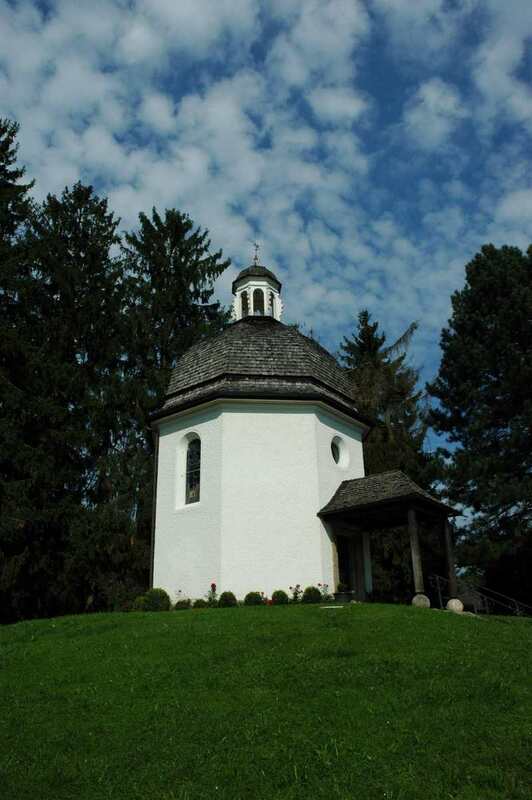 This is the chapel that was built on the spot in Oberndorf, Austria, where Josef Mohr and Franz Gruber wrote and composed Stille Nacht (Silent Night). The original church is no longer there but this is built on the same site. It's very tiny and very quaint. This was one of the highlights of my grandmother's 1956 tour of Europe, so I made a special point of coming here. The town of Oberndorf is right on a river, and if you cross the bridge, you're in Germany. I took the Lokalbahn to get there - easy - but if you like to ride a bike you can bike there on the river bike paths in under an hour. Just watch out for wild boar in the woods; I actually spotted a group of them on the way back to Salzburg!